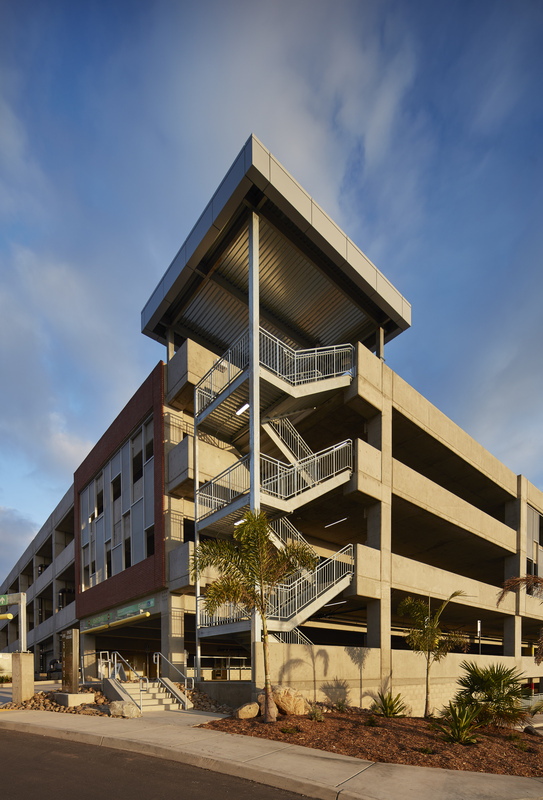 This project consists of the redevelopment of a large existing parking lot on the Palomar Community College campus. 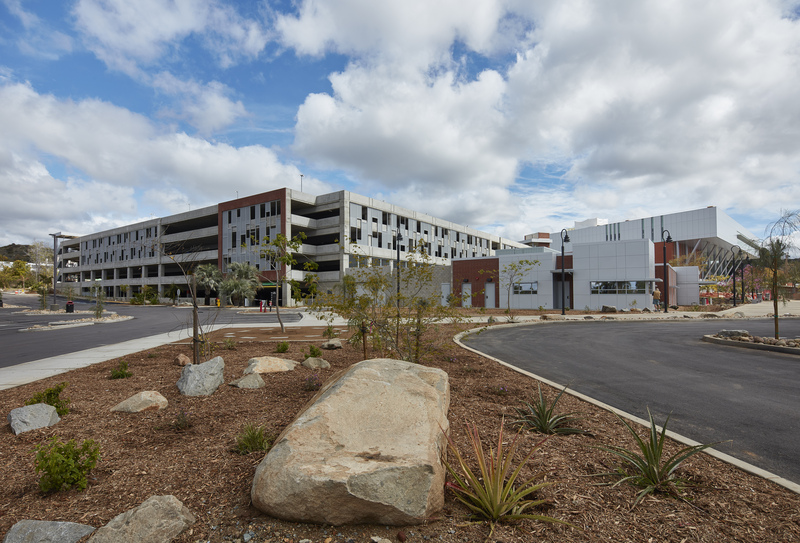 In addition to a new parking structure and campus police offices facility, the project includes the realignment of the college’s main loop road, realignment of site utilities and surface parking areas to accommodate the new buildings, new landscaping and irrigation, new site lighting, and new site amenities such as site furnishings, bicycle parking and pedestrian walkway areas. 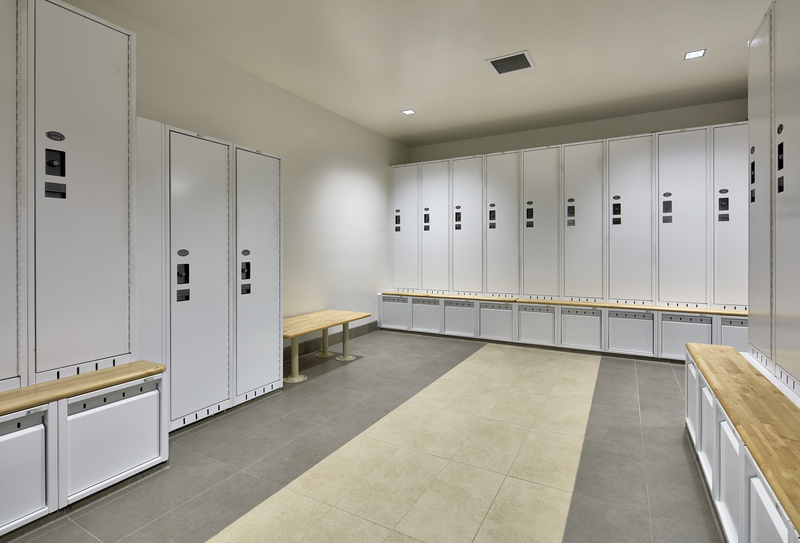 The project will have a net increase of approximately 831 parking spaces for the campus and will provide a prominent new location for the college police facility. 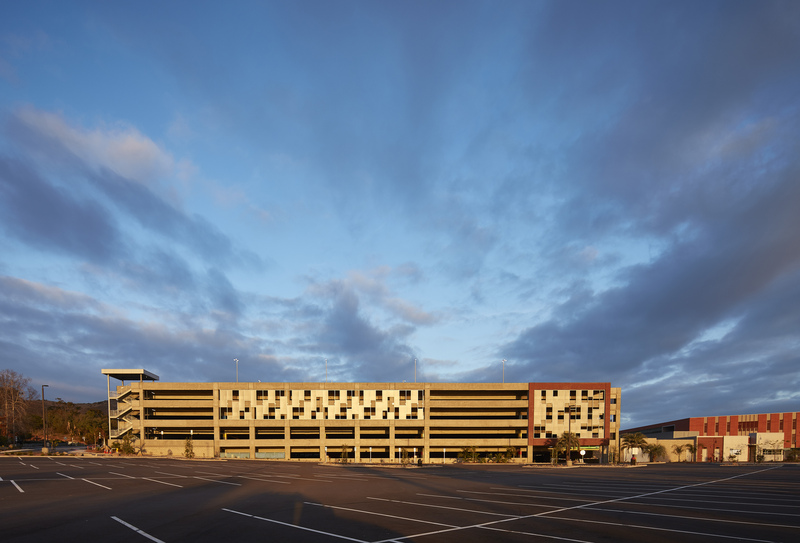 The new parking structure consists of a 5 level, 500,000 GSF cast-in-place concrete building to accommodate 1,616 parking spaces. 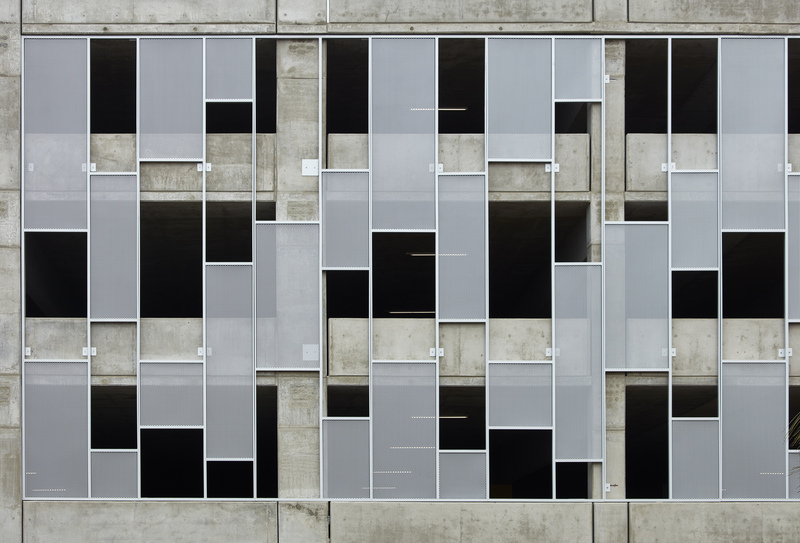 The building has entry/exit locations on three different levels and a high-efficiency internal ramping system for optimal vehicle circulation. 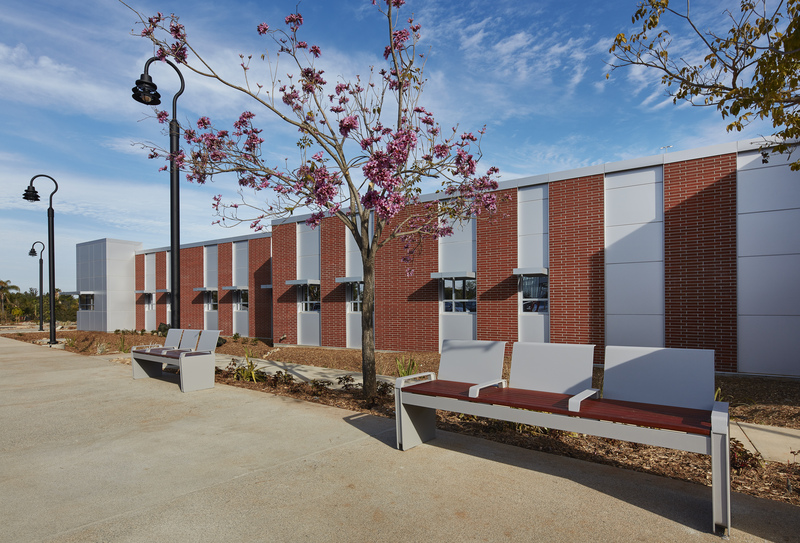 The structure has architecturally enhanced exterior elevations using a metal panel screening system, and enhanced elevator and stair vertical circulation elements articulated with glazing, aluminum panels, and face brick to compliment the adjacent campus buildings. 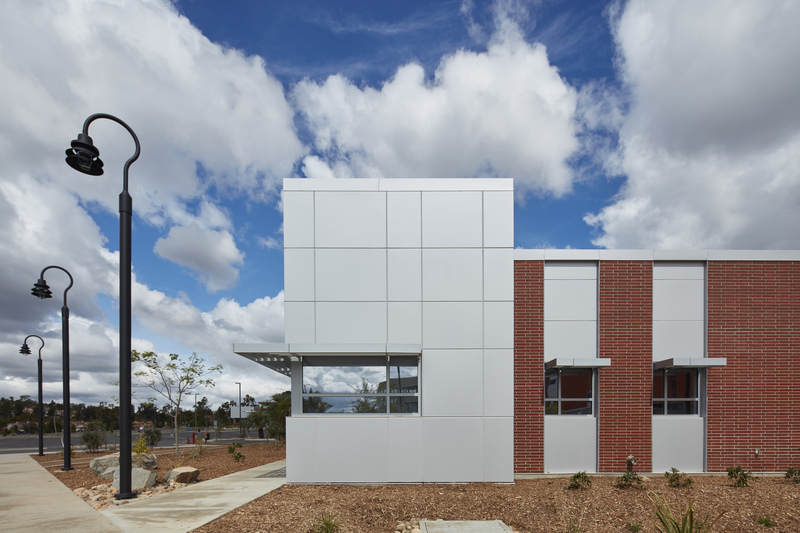 The top level of the building supports a photovoltaic system for sustainable power generation. 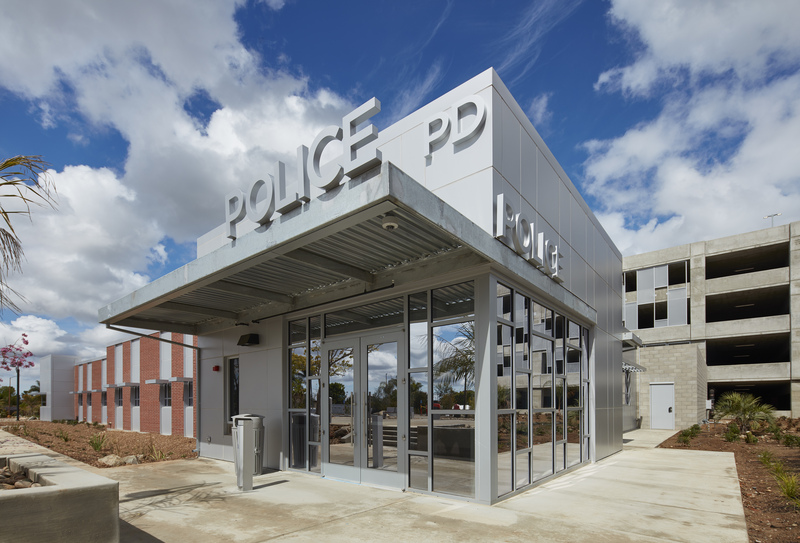 The new police offices facility consists of a single level, 7,645 GSF building to house the public safety functions for the campus. 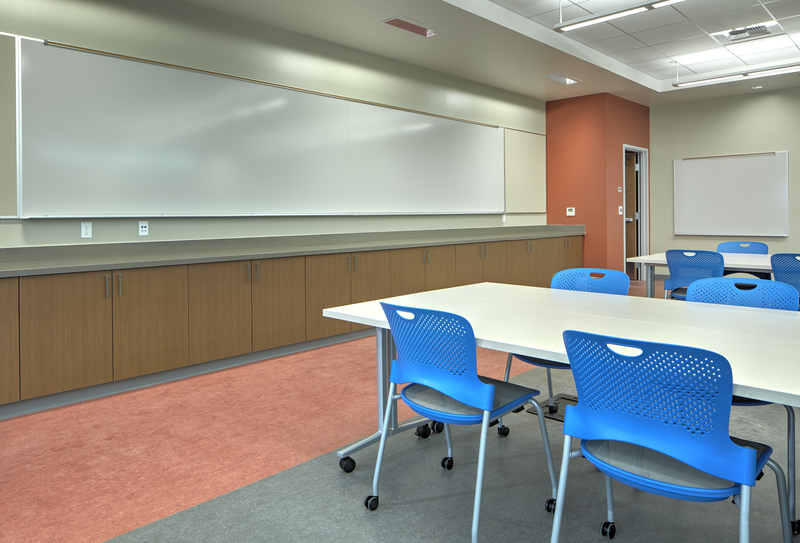 The building includes a new lobby and reception area, briefing and training rooms, police dispatch and emergency control center, interior offices and conference rooms, suspect intake and processing areas, locker rooms and restrooms, spaces for information technology infrastructure, and support spaces for the building’s mechanical and electrical systems. 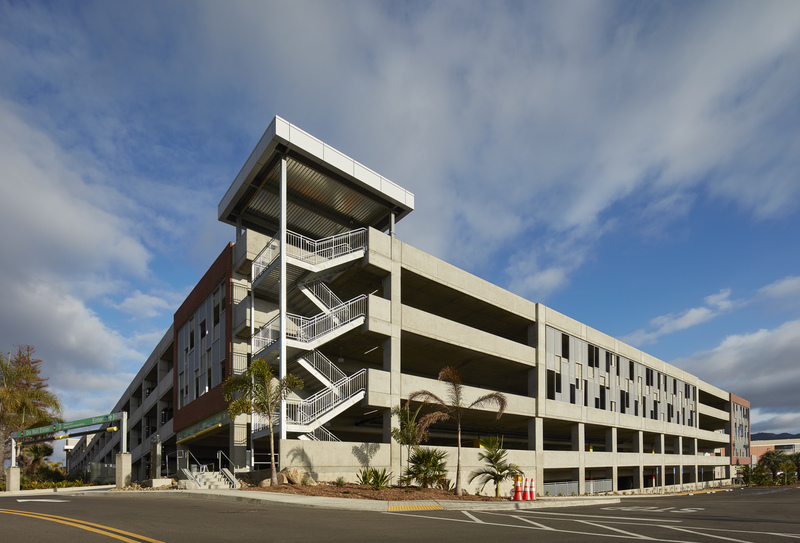 The building is located directly adjacent to the new parking structure and connects to a dedicated police parking area. 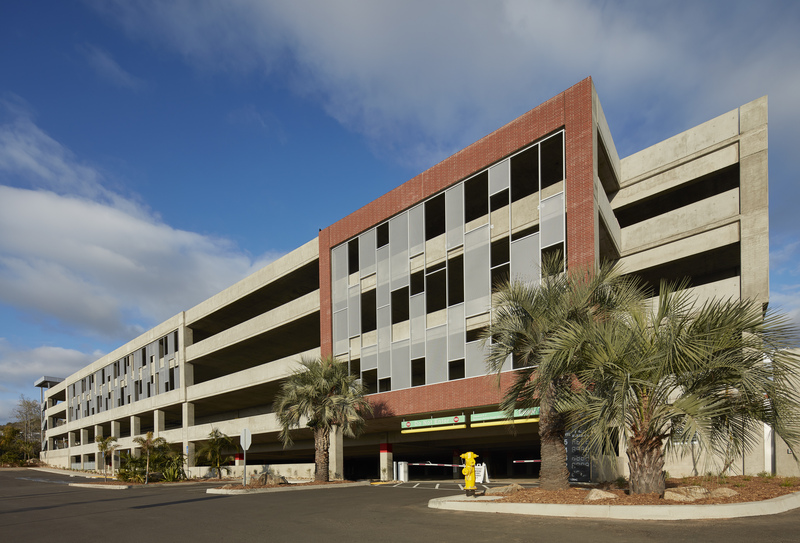 The exterior of the building has aluminum panels and face brick to compliment the parking structure and other adjacent campus buildings. 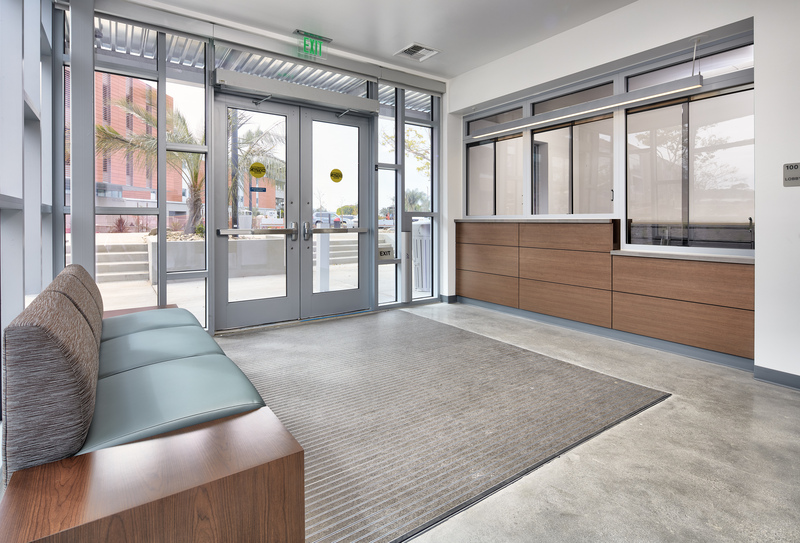 The building uses a number of sustainable and energy efficiency features, and is LEED Silver certified.